Is it just me or is everyone going a bit nutty for paper these days. 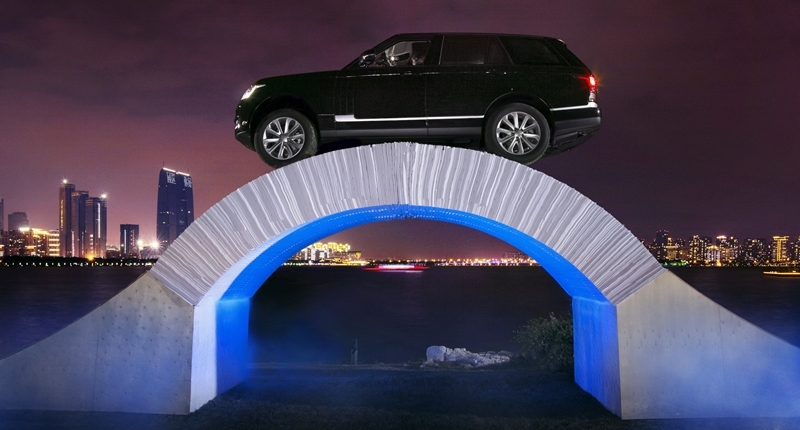 We’ve had a cardboard Lexus, an origami Nissan Juke, and now a Range Rover driving across a bridge made entirely of paper. The stunt, performed in Suzhou China, was orchestrated as part of the luxury marque’s 45th birthday celebrations. Construction of the bridge began with the assembly of a pair of specially designed wooden abutments. Paper was then stacked on these supports using a temporary framework to hold them in place. Once complete, this was removed leaving a freestanding 3.4-metre high paper arch spanning five metres.